Five years and 100 hours of film footage later, Michael Bolton’s cinematic love letter to Detroit is finally hitting the big screen. 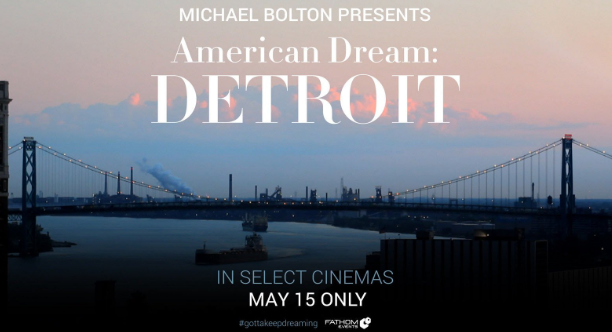 “American Dream: Detroit,” which explores the entrepreneurial and cultural turnaround in key parts of the city, will premiere Tuesday evening in a onetime, simultaneous showing at more than 400 theaters across the country, including 15 cinemas in southeastern Michigan. Bolton will be at the Redford Theatre at 7 p.m. Tuesday for the documentary’s Detroit screening — the latest of many recent visits from the Motown-loving singer, who was inspired to start the project while shooting an infomercial at Hitsville, U.S.A., in 2013.